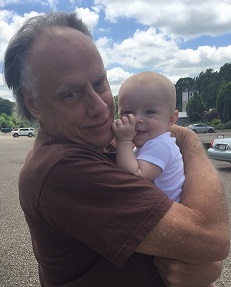 John William Laycock, 63 of Glouster passed away peacefully surrounded by family on May 26, 2018 at Ruby Memorial Hospital in Morgantown, West Virginia. John was born December 17, 1954 in Columbus, Ohio to the late William and Edna (Rarick) Laycock. He worked at Ross Laboratories in Columbus, Ohio for 18 years. John enjoyed making people laugh and trained as a professional clown in his retirement, an accomplishment which made him proud. He loved nature and it’s animals, especially his dog, Kai. John was a man of great faith and his relationship with God was central in his life. He attended the Bishopville Church of Christ. He is survived by his two sisters, Cheryl (Steven) Iacono and Becky (Ed) Wristen; son, Jesse (Karla) Laycock; two daughters, Christine (Aaron) Dougherty and Brandi (John) Curfman; grandchildren, Corinna, Joseph, and Kaylin Laycock, June and Cora Dougherty, and Josiah Curfman. Visiting hours will be held at Morrison Funeral Chapel in Glouster, Ohio on May 29th at 4p.m. with a service following by Pastor John Wright at 5 p.m. A comforting message may be sent to the family at www.morrisonfc.com.